In our last blog, we brought up what is probably the last subject you would expect in December: air conditioning. Even here in Las Vegas, things have turned chilly, and A/C is probably the last thing on many people’s minds. We are here to tell you that thinking about air conditioning in winter is a hallmark of a responsible home or business owner. Las Vegas warms up fast when spring hits, and every year it’s the same: a bunch of people taken by surprise try to turn on their A/C systems and have problems. We get very busy at that point, believe us! That is why we are letting you know that you can actually avoid the spring traffic jams and ensure that your A/C system is ready to roll the instant the air in your home or business gets too warm. If you aren’t convinced that now is a great time to schedule February or March maintenance with us, read our last blog. 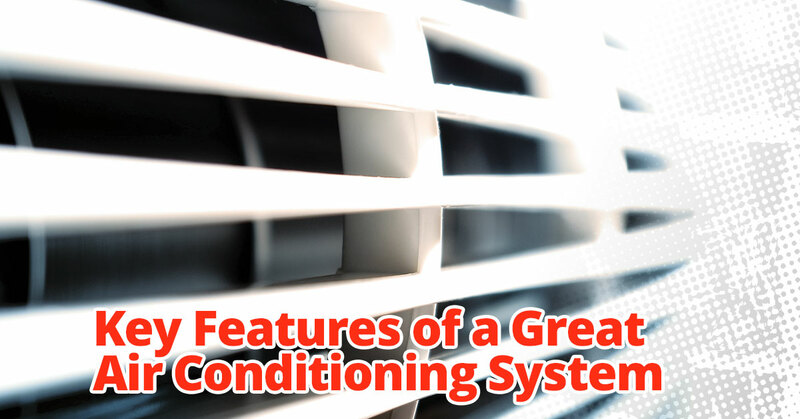 If you are convinced, read on for three things that are absolute “musts” when it comes to air conditioning units. Yes, this one isn’t a surprise. Modern air conditioners have been rigorously developed to provide the best cooling for the least energy consumption, and that is great news. Why? Because you can pay a fortune in air conditioning costs in Las Vegas. Our summers are no joke, and having a cool oasis to which you can escape is a must. However, you need food, too. If your air conditioner is outdated, and you’re sticking with it because you don’t want to pay for a new unit, you need to pause and consider how much you will spend on cooling bills this coming summer. It will probably be enough to buy a new unit. Let our team help you find the best unit for your needs and budget – there are great options out there, believe us! It can be reassuring to hear your A/C unit fire up, especially when you’re hot and trying to cool off. However, we all can agree that there’s a point at which an A/C unit’s noise changes from comforting to annoying. The amount of noise some A/C units produce is really incredible sometimes, and can be annoying for you and your neighbors. What is the solution? You guessed it: a new A/C unit. Not only are newer models more energy-efficient, they are also incredibly quiet. If you have a relic rattling and roaring its way through warm months, please let it retire! We are here to help! A too-small A/C unit will toil away and still not give you the cooling effects you need. A too-big A/C unit will freeze you and devour your utilities budget. Ensure that you get an air conditioner that will be able to cool your space without burning out or costing an arm and a leg. Our experts can easily assess your needs and deliver an A/C unit that will do the job. Contact Tippetts Mechanical for world-class air conditioning service and installation today!